This is a major deviation from the normal content on this site, but I hope you find it interesting nonetheless. It's been a long time coming. The new SimCity is coming out in just a few days. I'm really excited. The graphics look awesome. The game play is getting me hyped. However, the new game is getting some grief from long time SimCity fans. I won't get into all the details here. I'll just summarize. Long time fans don't like the small city size, non-adjacent city borders, and the lack of modding tools. Probably a few other things as well. Authors, would you like to add your book to our book review waiting list? The following is in continuation of the post When will we be accepting new book review requests? In the previous post I expressed the desire to open up book review requests again but that we would have to do it in a controlled manner. The first thing we'll be implementing is that no book will be added to our waiting list unless the book has been delivered to us. That doesn't guarantee a review; it simply speeds up our processing time. Another thing we're going to try is described below. When will we be accepting new book review requests? We haven't publicly accepted new book review requests since last summer. It was around that time that Diantha became the Review Crew Manager, and her first suggestion/order was to cut off new book review requests. At the time we had about 150 books waiting to be picked up. BufferShowcase Sunday a fun weekly meme hosted by Vicky over @Books, Biscuits and Tea. It's a great way of showing off what we've bought, borrowed and received this week. Are you stuck at the 2,000 follow limit on Twitter? "I'll follow when Twitter lets me." "Following back when I get out of Twitter jail." "Twitter won't let me follow you back." I see tweets like this all the time when I follow new people, which I do on a regular—even religious—basis. Many may not know that Twitter only allows you to follow 2,000 people ... unless a certain number of people are following you back. 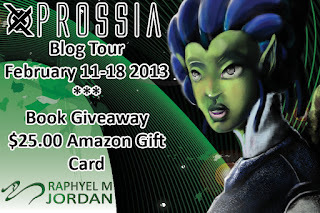 Welcome to day eight of the Prossia Blog Tour, hosted by us, The Masquerade Crew! The following is syndicated from deaubreydigest.wordpress.com and is posted here with permission. I am not an outliner. I never have been. I most likely never WILL be. I enjoy the ways the story takes me, the art of crafting it and the surprise of writing it was my characters take me along their story. This, however, is not how you sell books, by all accounts. Unless you’re naturally good at your characters sticking to what’s important, you have to have some idea where the story is supposed to go. Welcome to day seven of the Prossia Blog Tour, hosted by us, The Masquerade Crew!